There is no better word to start your mouth watering than steak. One problem though, the possibilities of kinds and recipes are endless. You don’t believe me? There are 13 primal steak cuts! Getting the right steak for the right recipe is an art on its own. But you don’t need to worry, we got your back. Here are some of the basic cuts as a kick-start for your new journey into the world of steak. Where it’s cut: Boneless cut from the back, just behind the ribs. How it tastes like: The Strip, also known as the Top Sirloin, is tender to the bite but still a bit chewy, zazzed with a strong beefy flavor. The percentage of fat in this baby is low, which will leave a little crispy layer for the perfect story ending. to get that smoky flavor. Where it’s cut: Just above the strip. How it tastes like: The most luxurious cut melts in your mouth like butter, the most tender of its kind. Extremely low in fat and beefy flavor. Best way to cook: Because the Tenderloin lacks the beefy flavor, it’s always seasoned heavily with a piece of butter on top for even more tenderness. Popping the piece into an oven set to high heat will give you a steak crispy and chock-full of flavor from the outside, and succulent from the inside. Where it’s cut: From the ribs, with or without the bone. How it tastes like: A very fatty piece of steak that makes for an insanely flavored beefy chunk. Considered to be the tastiest part of a cow by many, this savory mass is THE go-to for steak lovers! Best way to cook: Season it with salt and pepper, cook it in medium heat, give the fat time and trust it to give you a steak loaded with flavor. Where it’s cut: It’s the combination of both the Strip and the Tenderloin connected with a T-shaped bone. How it tastes like: This mean baby combines the best of both worlds, the Strip and the Tenderloin. Best way to cook: Grilled! This big mama is hard to cook otherwise, a hearty meal indeed. Where it’s cut Lower part of the chest. How it tastes like This piece of meat is left with a fat cap around it to provide it from drying out while cooking, giving it a perfect crispy shell. Best way to cook To get the most out of it you cook it Texas-style; slow-cooked and smoked. This beauty takes from 10-12 hours to cook, and wow, it is worth it! Crunchy from the outside, luscious from the inside, booming with a smoky flavor. Steak House has the black stone, which is a heated slab you get to “cook” your steak right on your table. Our handy tip is if you’re ordering it a la Blackstone, it’s best to keep the doneness a step before how you’d like your meat. So if you like it medium well, order it medium rare and just cook to your desired perfection. 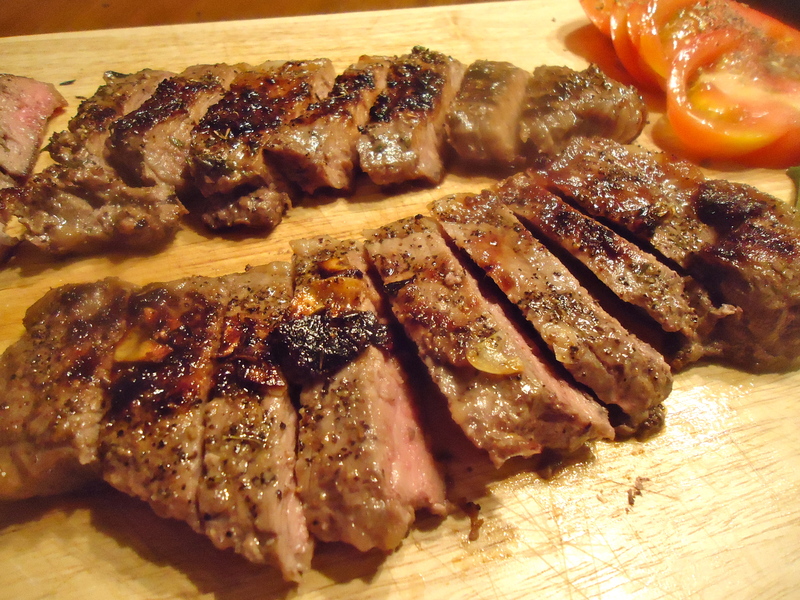 This is for folks who love their steak fillet simple and straightforward. True to its Parisian origin, don’t expect cuts and all that jazz. In fact, there’s nothing on the main course menu except for the steak, greens and fries at SR 150 per person. One of the food and beverage outlets at the Marriott hotel, the Terrace Grill is great for romantic evenings- while satisfying your inner carnivore. It’s less commercial approach to being a steak house works in their favor. The chef is careful in selecting their meat imports, which means you’ll get a fine selection to choose your cuts from every visit. There’s only one steak on their menu but it’s well worth it. 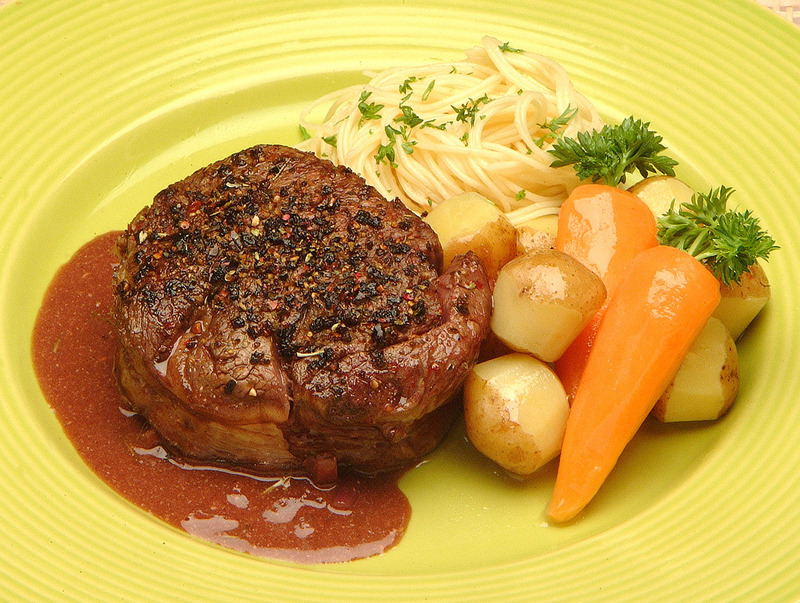 The fillet mignon Rosini style is a center cut with grilled foie gras and Perigueux sauce. We’d say it’s a petite kind of serving as one would expect of a Parisian dish but delightful and succulent nonetheless.